The Suzuki GSF1250S Bandit is a simple, dependable workhorse of a bike. Its lazily tuned big-bore 1255cc engine makes just 97bhp and will run to huge mileages without a problem if serviced properly. What’s more, it is comfortable over long distance with good weather protection and tall bars, which is just as well since it will go 217 miles between fill-ups. With prices on the used market as low as £3000, the Bandit represents incredible value for money, making it a great choice as a commuter or winter hack. The Bandit is unlikely to set pulses racing, but that’s not what it’s for. If you want to know for sure that your bike will fire up every time you push the starter and deliver you to your destination in comfort and without drama, the Bandit could be the bike for you. 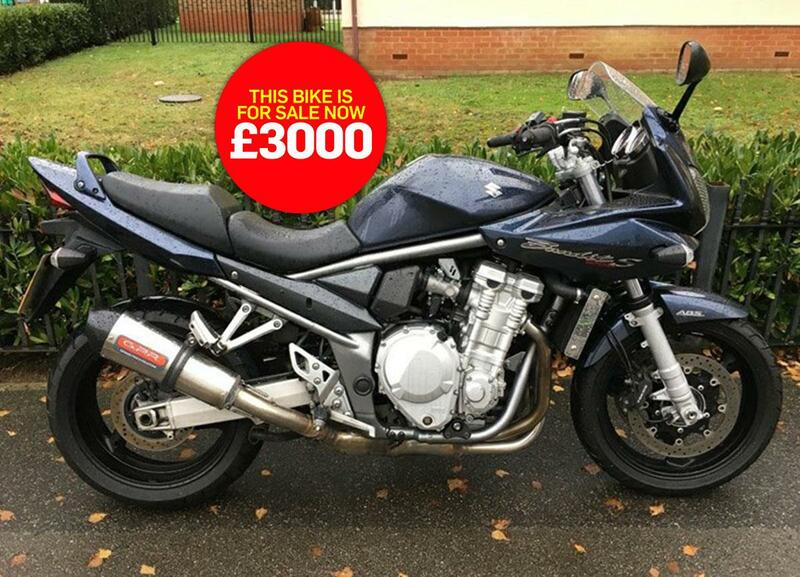 This Bandit is available from Laguna Motorcycles, who say: "This bike is the perfect commuter tool with low miles for its age, it has been well cleaned and maintained. "The 1250 Bandit is always a reliable machine, which is well known for its usability. It has a 1255cc, in-line four-cylinder engine and is finished in blue. The bike has had one previous owner who put 12,415 miles on the clock since 2008. "Equipment includes ABS, centre stand, aftermarket slip-on exhaust, Oxford heated grips, aluminium radiator guard and Meta system alarm. A six month Laguna warranty is also included." Find a used Suzuki Bandit for sale.